Titon manufactures and supplies ventilation and window products – ranging from its signature Trimvent background ventilator to window handles, locking systems and hinge systems to powered ventilation products including whole house systems and extract fans. As a manufacturer, Titon also invests heavily in research and development, which enables the company to use the latest technology to keep its products both innovative and cost effective. 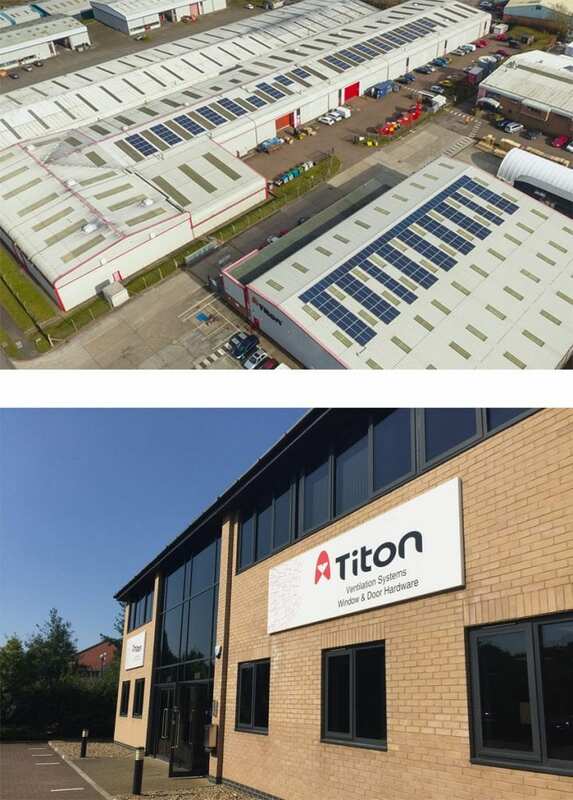 Titon is supported from the Head Office in Colchester with full administration and marketing departments. Additionally, a state-of-the-art manufacturing base at Haverhill is home to the production and research and development departments. As you would expect, Titon places a strong emphasis on quality, testing and customer service and is also affiliated to a number of industry organisations. In addition to its UK activities, Titon exports its products to a range of overseas markets. The USA market is supplied through its wholly owned subsidiary; Titon Inc. Elsewhere Titon has appointed distributors within most major world markets. Titon works closely with these distributors to supply its products effectively and to support them in providing the high level of service synonymous with the Titon brand. Titon was founded in 1972 by John Anderson, a current Non-Executive Director. It floated on the London Stock Exchange in 1988 as Titon Holdings Plc. Titon employs around 190 people divided between its head office in Colchester and its factory in Haverhill, Suffolk.